How to get to and from hundreds of the world's airports by car, bus, train and other forms of public transport. Updates and requests for inclusion in these pages are welcomed. Information is from many sources including personal visits and may no longer be accurate. Location: 3 km/2 Miles SE of town. By Taxi: To Biak ~IDR 55 000. By Bus: Shared minibuses run to most parts of Biak. Cost: ~IDR 1700. Location: 7 km/4 Miles from town. By Taxi: To Fak Fak ~IDR 30 000. Location: 35 km/22 Miles W of Jayapura near the town of Sentani. By Taxi: To Jayapura by private taxi ~IDR 110 000. Shared taxis will cost less. To Sentani ~IDR 11 000. Location: 8 km/5 Miles SW of town. By Taxi: To Manokwari ~IDR 30 000/10 mins. By Bus: Shared minibuses run along the road outside the airport and go into town. Location: 7 km/4 Miles from Hotel Asmat. By Taxi: To Hotel Asmat ~IDR 22 000. By Bus: Buses run to Hotel Asmat. Cost: ~IDR 2700. Frequent puses run from the airport to the ferry port. Location: 5 km/3 Miles E of town. By Taxi: To Sorong ~IDR 55 000. By Bus: Buses run along the road outside the airport, but you will have to change buses en-route to get to Sorong. Location: 200m/¼ Mile E of town. On Foot: Walking is easy to most parts of town. By Taxi: Available at IDR 4000-6000 per trip around town. × Best Prices in Car Rentals! 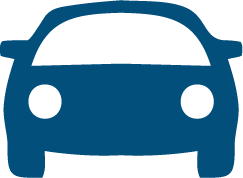 Search in our car rentals booking engine!